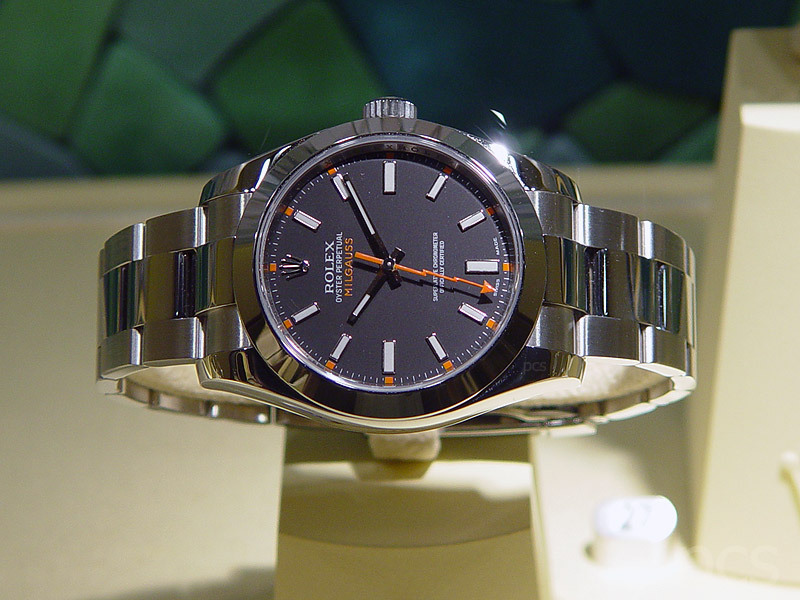 The Milgauss comes in three versions today. 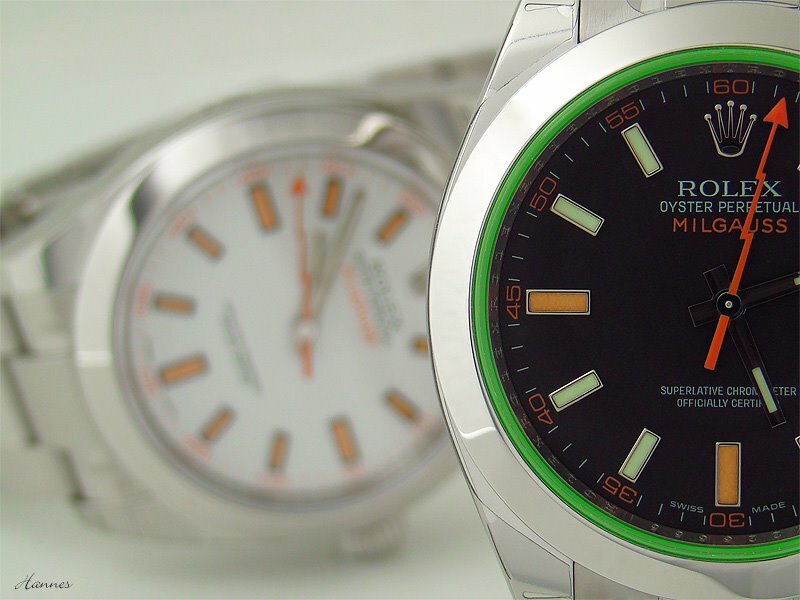 The GV which has the green crystal, and the standard black dial and white dial versions. 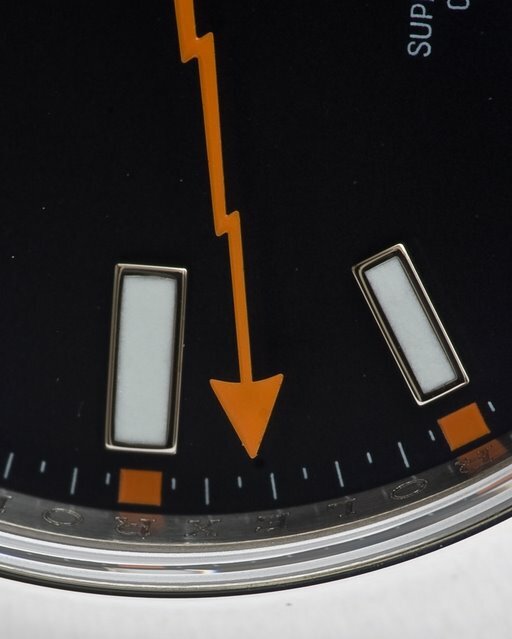 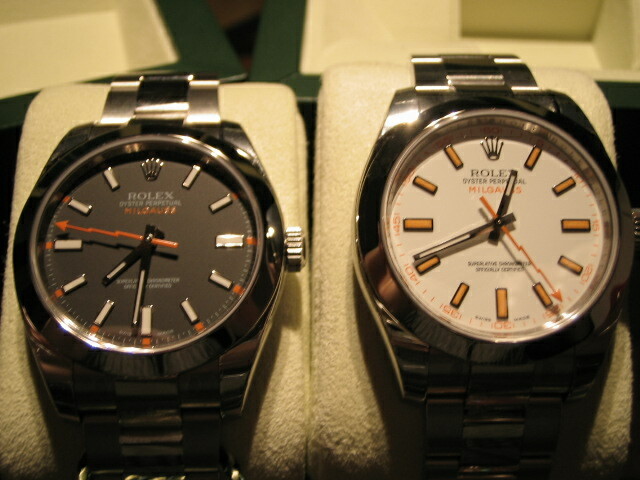 The Photo above shows the green crystal GV Milgauss on the right with the standard white dial Rolex Milgauss on the left. 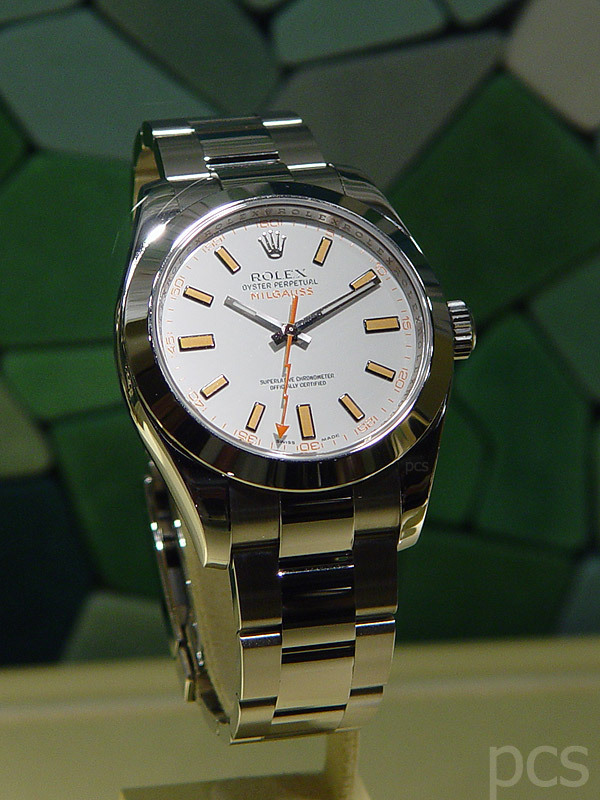 All the photos below are of the standard Non Green Crystal Milgauss.